Intro kit contains everything a child needs for an introduction to programming and mobile robotics. 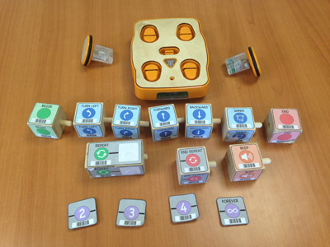 Contains KIBO robot with 10 programming blocks, 4 parameter cards, 2 motors and two wheels. * International customers: we will contact you with your additional shipping charge before processing your order.